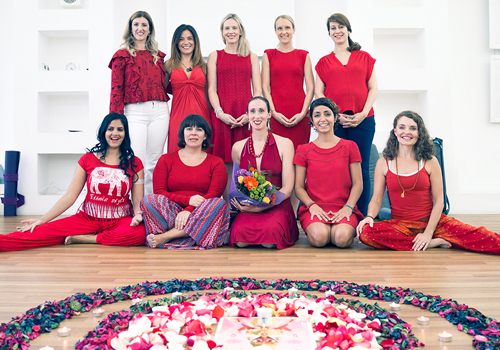 Return to the Self has offered Yoga Teacher Training globally since 2016 in the UAE and India. 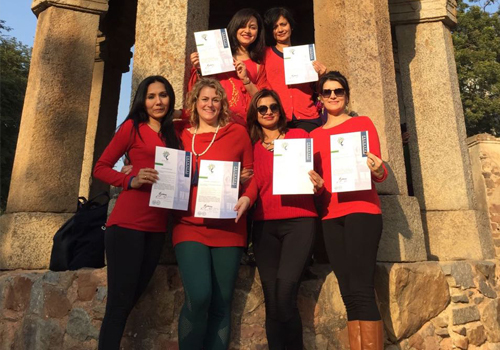 Our course has met the high standards set by Yoga Alliance USA (the global version of Yoga Alliance) and is registered as a 85 hour programme. Our courses are fun, interactive, discursive (your experience is highly valued), practical and authentic. The course offers a hatha and hatha flow style of asana suitable for all trimesters of pregnancy. 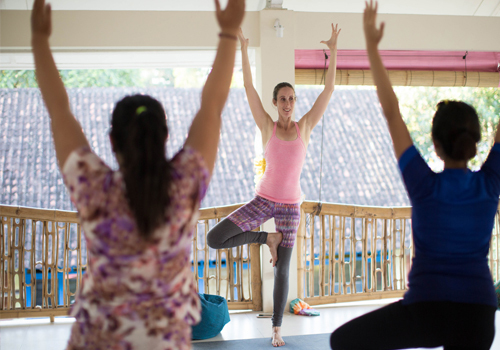 Although the course also includes pranayama, chanting mediation, relaxation techniques (yoga nidra) the course is designed to be appealing to a woman also interested in maintaining physical health. The course is the vision of Jo Arganaraz and is a synthesis of my own experiences as a pregnant woman (including having practiced ashtanga yoga and prenatal yoga during pregnancy) and the studies I have undertaken with Sally Parkes, Jodie Boone and Uma Dinsmore-Tuli amongst others. I am grateful for all the teachers who have shared their passion. Make the transition to teaching prenatal yoga and understand the key differences between a regular yoga class and the ‘bhava’ or feeling of a pregnancy class. Ensure your classes are informative, uplifting, supportive, empowering and non judgmental including delivering effective feeling cues. Lean practical ways hatha yoga can help birth and offer yoga techniques for 1:1 clients, partner birth workshops etc. Developing awareness of reacting to the pregnant and postnatal students in the class and how to foster and build relationships. Developing teaching methodology. Practical assessments will include teaching a full 1 hour yoga class to other trainees. Full written feedback from tutors and an opportunity to provide feedback to peers will be part of the assessment. What are the advantages of studying prenatal yoga? As a regular yoga teacher, it is much safer to have specialist knowledge of prenatal and postnatal yoga in order to better serve clients who attend regular yoga classes. Learning to teach prenatal yoga enables you to specialize and create diversity in your own teaching portfolio. Prenatal yoga is soulful, beautiful and a community based teaching which is incredibly powerful to teach. Becoming a prenatal teacher and supporting women is a nurturing and abundant journey. Do I have to be a yoga teacher to join this course? To Register for the courses please click on the button below and fill in the online form.